A 7 year old boy missing the part of the brain used for sight has baffled doctors by being able to have almost perfect sight. The boy, from Australia, known only as “Bl” is reported to have lost the primary visual cortex part of his brain due to a rare medical disorder soon after being born. The primary visual is the part of the brain that processes the electrical signals comimg from the eyes. 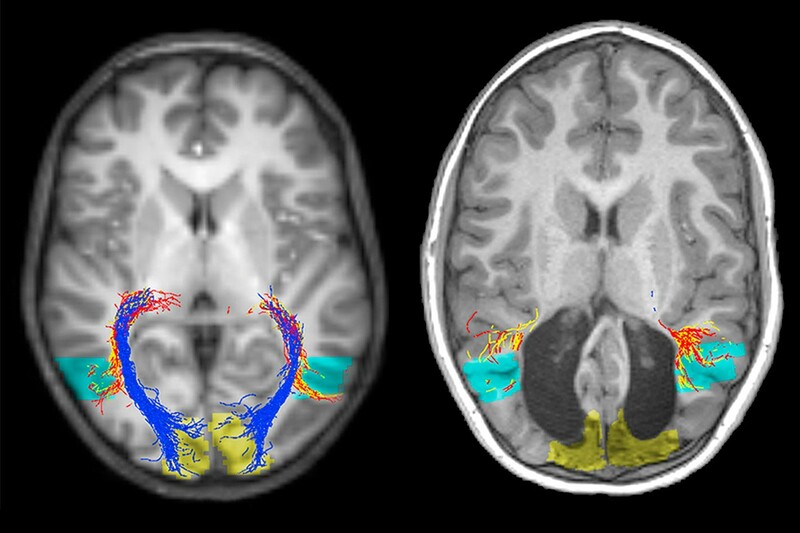 MRI scans show that instead the boy’s brain has rewired tio use another part fo te barin to perfro the function instead, allowing him to have almost perfcet vision. The only problem with his sight is short sightedness. “You wouldn’t think he is blind. He navigates his way around without any problems and plays soccer and video games,” he says. Mundiñano, presented this strange medical case at the annual scientific meeting of the Australasian Neuroscience Society in Sydney in November 2017. The boy’s medical case is unique because he is the first person ever reported to have no visual cortex but almost perfect sight. Neuroscientists believe this shows how malleable or “plastic” the brain is and how adept it is in rewiring itself, especially in its early years. Doctors discovered that Bl’s brain has significantly more neural connections between two other areas of his brain – the pulvinar and middle temporal area – which appear to have taken on the job of converting his eyes’ electrical signals into meaningful sight information. This weird news story shows just how amazing and complex our brains are and how much more there is for us to learn about them. And is why neuroscientists describe the human brain as the most complex structure we have discovered in the universe.